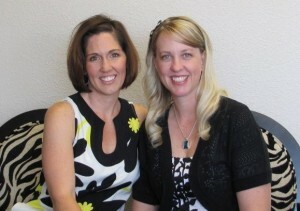 After meeting over 20 years ago, Fresno natives Tracy Barnes and Kristy Montgomery have maintained a wonderful friendship and embarked on a business relationship where they have been operating Premier Bride for almost a decade. Tracy Barnes and Kristy Montgomery produce Premier Bride Showplace, the Central Valley’s largest bridal show, and publish Premier Bride Magazine, the area’s most trusted bridal publication. They also opened the Premier Bride Wedding Center in 2009, which is home to a variety of individually owned bridal businesses, including of course, Premier Bride’s Perfect Dress and The Tux Shop. Very nice site you have here. I am a wedding and portrait photographer on the coast. Thank you so much! Your site is beautiful as well! Always enjoy seeing young people try their hand at their own business. I wish you lots of luck as your make many happy brides over the years. Thanks for sharing my blog about Earthship.